We are big fans of homemade breakfast sausage around here. We like to make sausage patties, fry it up and make sausage gravy, topping on our pizza, and sometimes in place of beef in our spaghetti. Oh, I almost forgot cheese dip with sausage and salsa served with tortilla chips. Ok, I’m hungry now. We’ve been making our own homemade breakfast sausage since 2011. We prefer our meats to be free of MSG, Nitrates, Nitrites, Preservatives, and any other unnecessary things in it. Finding meat like is was hard. Meat like this that we can afford? Almost impossible. That left one option- raise and make our own sausage! 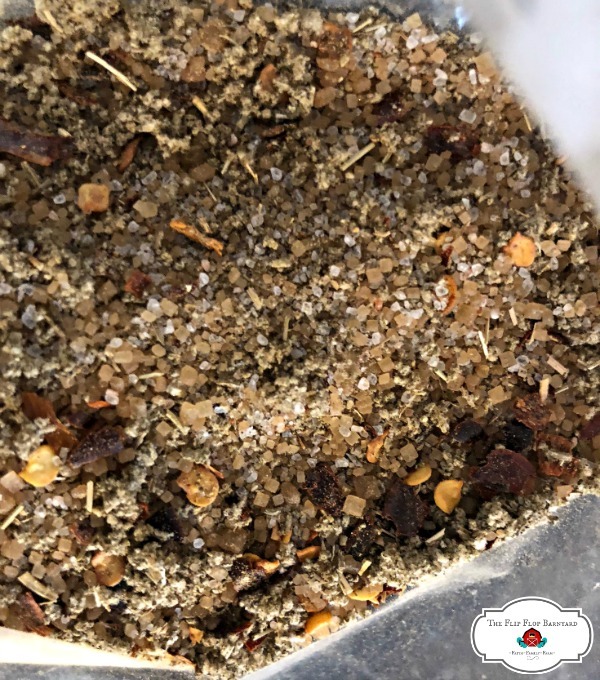 It took quite a few tries and years to finally hone in our homemade breakfast sausage seasoning recipe but we’ve got it down. 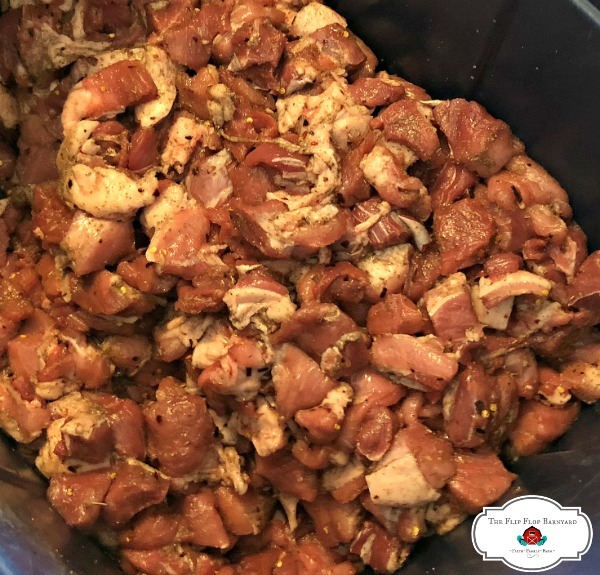 We raise and butcher our own pigs and grind our own sausage but this recipe can be used with store bought pork as well. 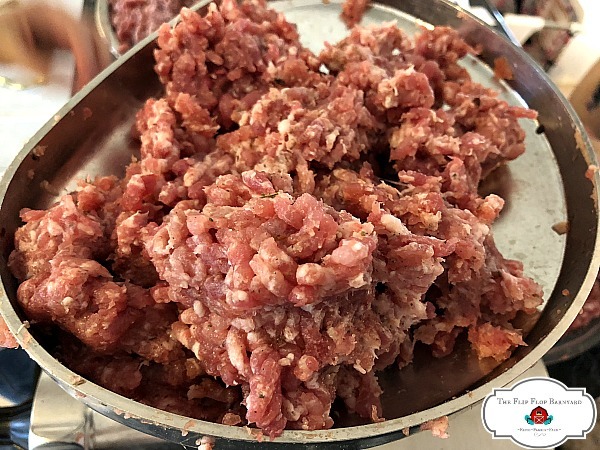 If you raise pigs but have them butchered for you, you may be able to send your own sausage seasoning mix to the butcher for your sausage. Just a couple of days into January, I went to cook breakfast and we were down to our last pound of breakfast sausage (gasp!). Oh, the horror. I mean, we’ve been through some rough times but no sausage? It couldn’t be. Ok, I’m getting carried away but this definitely needed to be remedied quickly. We butchered our pig soon after and went to work parting it out and making our homemade breakfast sausage. Now, we will happily be eating said breakfast sausage (and lunch, and dinner, and snack ;)) for a while. We cut the pork up into (about) 1 1/2″ cubes. and sprinkled our seasoning mix over it. We then used our hands to mix it, making sure it was mixed well so the breakfast sausage had evenly distributed seasoning. Now, we fed the meat through the throat of our meat grinder. Out it comes into the bowl. Once all the meat was ground, we replaced the grinding plate on our meat grinder with the stuffer attachment. We now fed the ground meat through the throat again and into our packaging. 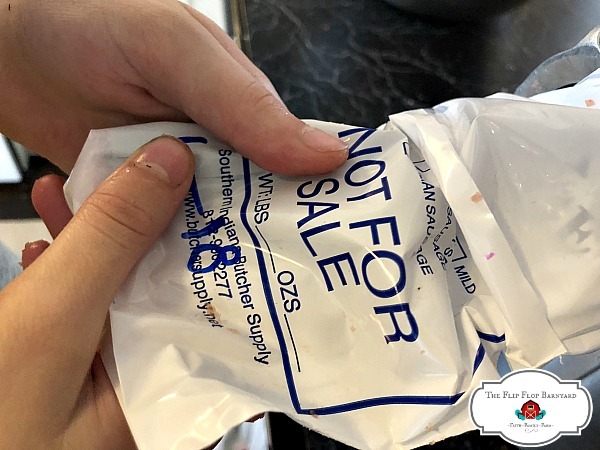 We sealed up the packaged and made sure they were marked and dated clearly. We freeze our breakfast sausage and thaw as needed. 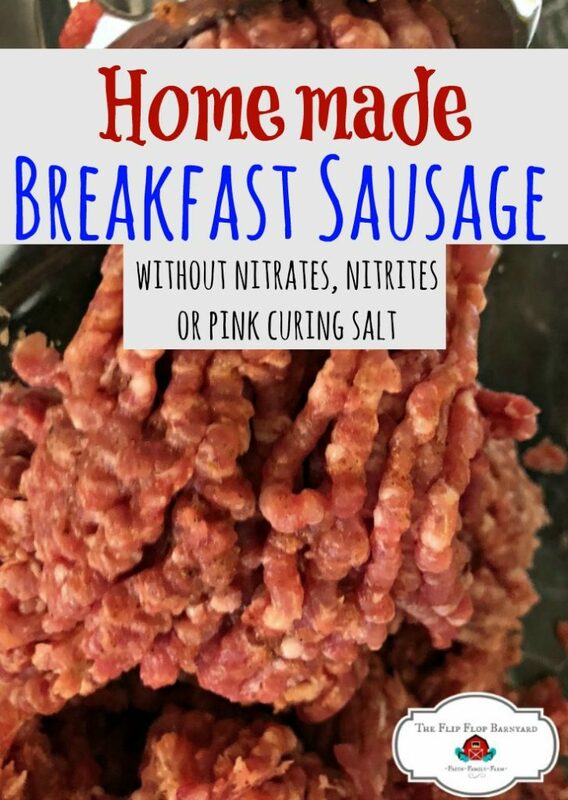 Making homemade breakfast sausage is simple. We are very happy to have a freezer full again. I just hope we don’t run out before of our next set of pigs are big enough to butcher. 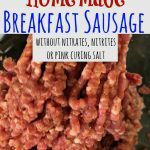 If you want to make homemade breakfast sausage without any junk and only real ingredients, this is the one for you.This pork breakfast sausage seasoning mix recipe is per pound so multiply the recipe by the number of pounds of pork you are using to make it. 1/2 tsp Red pepper flakes optional but tasty! Mix all dry ingredients together. Sprinkle seasoning mixture over pork and mix well with your hands. 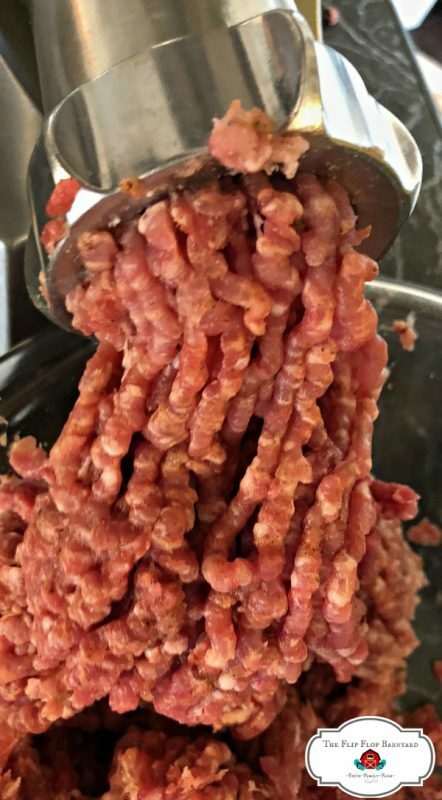 If using cubed pork, grind with a meat grinder with seasoning. 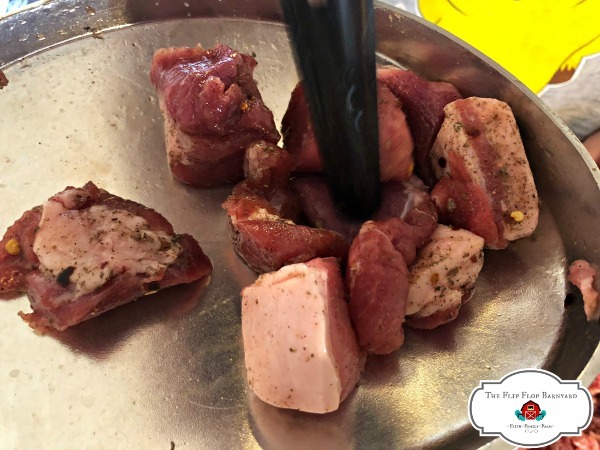 Once seasonings and pork are well mixed, cook or package for later use.